CenturyLink prevailed because it had the attorneys and the experience to wield the right of first refusal as a weapon. When all was said and done, however, the people in the project area did not have access to the fast, affordable, reliable fiber connectivity they would have obtained from Clearnetworx. CenturyLink instead obtained state subsidies to deploy DSL that was better than the services it was already offering, but no where near as useful as the Internet access Seacat’s company had planned to deploy. Community leaders did not quickly forget the fiasco. Democrat Barbara McLachlan from Durango Republican Marc Caitlin from Montrose introduced the bill this session. So far, the bill has passed through the committee process in the House and the Senate and has passed the Third Readings in both bodies. There have been no amendments in committee or on either floor. HB 1099 just needs to be signed by the President of the Senate and the Speaker of the House and then sent on to the Governor. The bill, titled the "Broadband Deployment Level Playing Field Act", has had strong bipartisan support. In the House, the Third Reading passed 61 - 2 and in the Senate, the Third Reading passed unanimously. The bill signals an impatience with CenturyLink and its failure to deliver in rural areas while preventing other companies, municipalities, and cooperatives who want to offer high-quality connectivity. Under HB-1099, which I co-sponsored with Rep. Marc Catlin (R-Montrose), if a new provider bids to provide high-speed service for an unserved rural community, a company that is already active in the area and has the right of first refusal may either let the new company go ahead, or else they must match the speed and price the new company is offering. The bottom line? Unserved areas of Colorado get quality, affordable broadband. (g)(I) With regard to an applicant that has submitted a proposed 12 project to the board, affording each incumbent provider in the area that 13 is not providing access to a broadband network in the unserved area a -2- 1099 1 right of first refusal regarding the implementation of a project in the unserved area. (C) AT A COST PER HOUSEHOLD IN THE AREA TO BE SERVED THAT IS EQUAL TO OR LESS THAN THE COST PER HOUSEHOLD INDICATED IN THE APPLICANT'S PROPOSED PROJECT. Check out the entire bill here. Over the past several years, Colorado has become one of the places where bipartisan local and state leaders have recognized the value of high-quality connectivity in rural areas and have taken steps to improve policies to encourage deployment. Lobbying from powerful incumbents still has some influence in the General Assembly, but measures like HB 1099 suggest that there are legislators in Denver that are tired of broken promises. This is a move worth watching in other states where big corporate incumbents have derailed new projects with the right of first refusal. 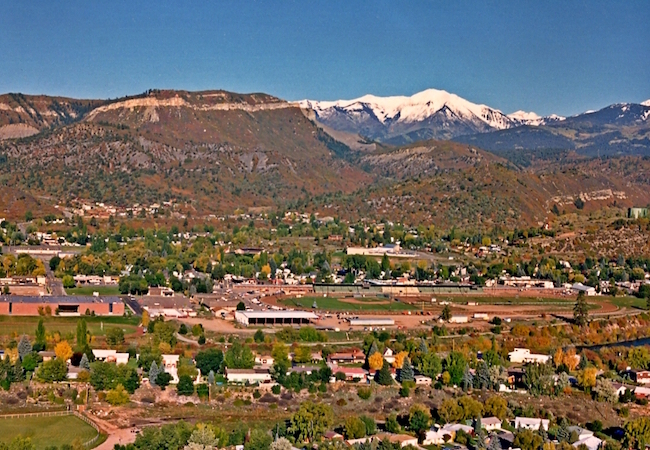 Image of Durango fromRim Drive by Ron Clausen (Own work) [CC0] via Wikimedia Commons.